The Green Room: What would your ideal drama school be like? 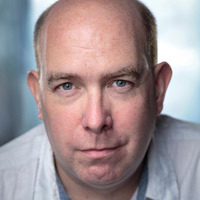 Keith Simpson is in his early 20s and since graduating from drama school in 2016 has worked on national tours and in rep.
Keith I’d like to see classes with diverse students in terms of class, race and size – and teachers from diverse backgrounds. Albert It would have a nice driveway, well manicured lawns and one would approach it through an avenue of laburnum trees. Keith A place that doesn’t take away students’ confidence, but makes them even more courageous than when they started. Annie I think my drama school training was on point. But today there should be more focus on the recorded arts. Ros My drama school experience was clinical and lacking in personality – I didn’t feel creative. But I got great training in my field. Josie I didn’t feel very creative either – but I had spent a year in France beforehand doing wonderfully creative and playful things. Drama school in London was a step back creatively, but it gave me basic voice and text training I hadn’t had before. Annie I left prepared for virtually any medium of performance art. I feel confident working on screen and filling a large, in-the-round, open-air theatre. I think that’s really important. Josie I know most of the big drama schools are geared towards naturalism and Stanislavski, while other courses focus on physical theatre or contemporary theatre practice. I would have liked more of a mix. Annie My school was really open-minded and got lots of practitioners in. We were regularly told that every class was merely an offering and it was up to us as artists to choose what worked for us. Jon Sounds as if you had a great experience, but is there anything that, in retrospect, you’d like to have done? Annie I would have liked more placements on film sets. I managed to bag a little bit of extra work on an American project and it was one of the best parts of my training. I happened to be with a girl who knew most of the crew and she taught me everything I need to know about being on a big-budget film set. Josie Placements would be great. Ros In the final year of my course we all had to do a placement for a term, which for me was absolutely invaluable. I also actively pursued placements or work experience out of term time, which helped when I was back at school. But getting out of the building for three months was great. Annie A lot of people I know just went for lots of auditions. I think it’s important to figure out what kind of training you want and find which schools offer that. Ros As I’ve often said, drama school gave me the skills but doing placements and working actually taught me what I know now. Jon I didn’t train. One thing that’s always struck me as odd about most drama schools is how little time there is in front of an audience in the first couple of years. Annie My whole second year was in front of audiences and we had physical and musical training alongside classical training and film and TV. It ticked all my boxes. Albert Drama schools these days need smaller groups so they can concentrate on giving effective training. Too many of them are just taking in students who don’t really have a chance, but are just balancing the books. 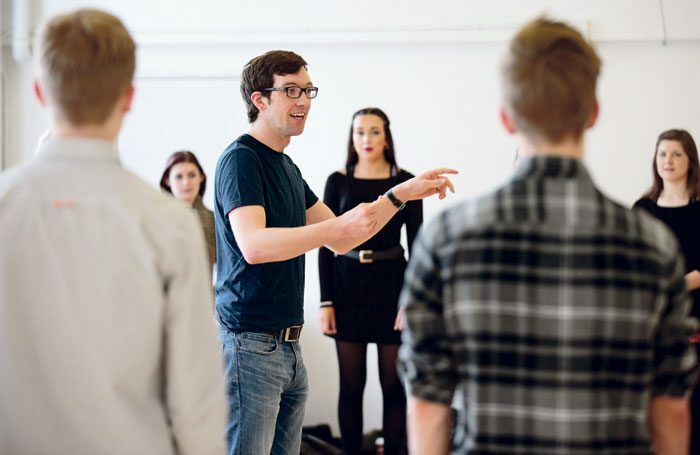 An ideal drama school would have groups of no more than 12 or 14 in the final year. Jon What about pastoral care? It always strikes me as potentially dangerous to get a bunch of sensitive 19-year-olds in a room and encourage them to bare their souls. Josie Yes. I think young actors need to be better prepared for how to equip themselves mentally and emotionally for the profession. Ros My drama school wasn’t great at the pastoral care thing. I struggled – I’m very open about it. Annie We had a lot of support. And luckily – I’m glad about this – most of my class was made up of over-20-year-olds. We had one school leaver, but the rest of us were that bit older and that was great. Josie Our group was a bit older too. No one had a complete breakdown, but we were made aware the school had a list of psychotherapists they could recommend. How we were supposed to afford it was not mentioned. Annie I was about to say that money is a big consideration. Financial support is vital and I couldn’t have gone to drama school without it. That needs to be there. Josie I think it’s a great idea for on-site psychological support to be available, but I’m sure they would say it would have to come out of the students’ own pockets, which is problematic. Keith Yes. It’s so important for schools to have a safe place where students can discuss mental health issues they may be facing, or teach them how to handle mental health issues that being in this industry may cause. Ros We did have a counsellor who was a reassuring presence. Jon I think the one thing we’ve learned today is that we all want to go to Annie’s drama school. Annie Ha ha! It was great for me but I know it wasn’t everyone’s cup of tea.